A senior member of a major Pakistani political party has been shot dead. 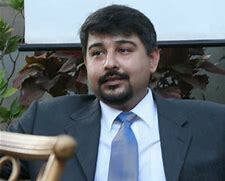 Syed Ali Raza Abidi, 46, was targeted by attackers outside his home in Karachi on Christmas day, police say. The murder comes after a drive-by shooting which killed two members of the Pak Sarzameen Party (PSP) in Karachi on Sunday. Unidentified gunmen opened fire on Mr Abidi’s car as he arrived home. The assailants fled on a motorbike. 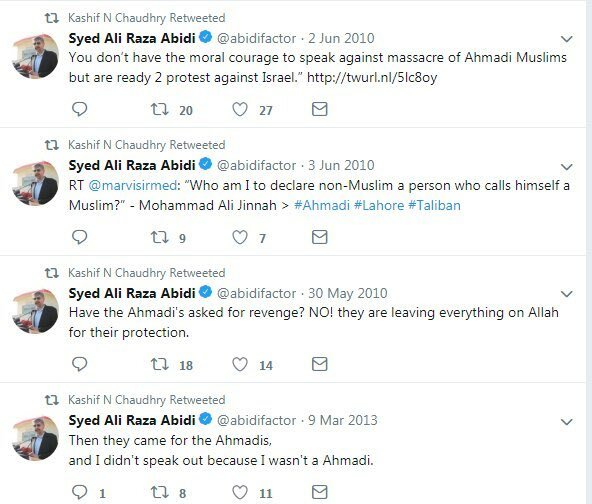 Mr Abidi later died in hospital. In a statement, the MQM said Mr Abidi’s “cold-blooded assassination” was part of a crackdown against the party by Pakistan’s “military establishment”. President Arif Alvi condemned the killing of his “good friend” on Twitter. Mr Abidi was elected to the country’s National Assembly in the 2013. He resigned his seat in November last year over plans to merge the MQM-P with rivals PSP. He stood again during general elections in July but lost the contested Karachi seat to current Prime Minister Imran Khan. Could it have been due to these above mentioned tweets that he was killed?